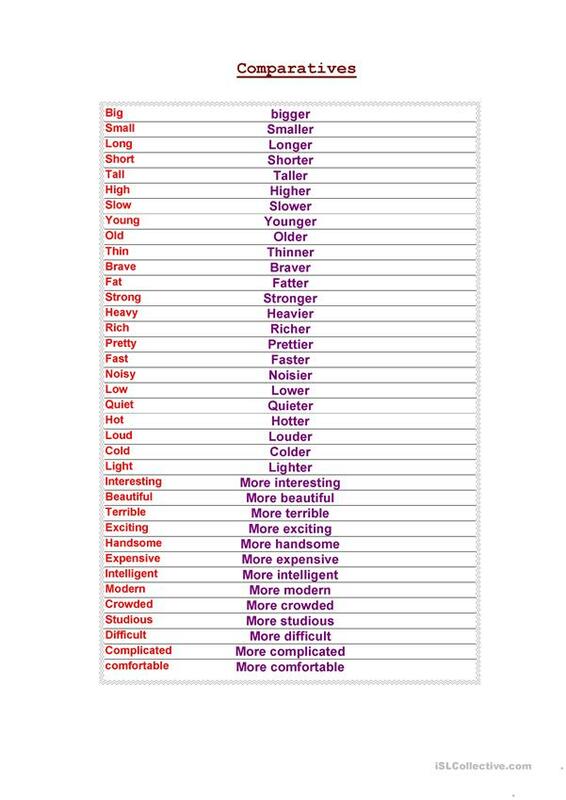 it is a list for students with the most useful adjectives to compare. the idea is to have the most useful adjectives on a list . The above downloadable worksheet is intended for high school students and elementary school students at Elementary (A1) level. It is a useful material for teaching Comparison: Superlative adjectives and structures in English. It focuses on the vocabulary topic of Describing people. corinasilva is from/lives in and has been a member of iSLCollective since 2014-10-19 11:31:44. corinasilva last logged in on 2019-04-11 00:50:39, and has shared 2 resources on iSLCollective so far.